Tunisia's Club Africain have been awarded a 3-0 win over Egypt's Ismaily for January's abandoned African Champions League Group C match. Africain were leading 2-1 when the referees had to call off the game as missiles were thrown onto the pitch. 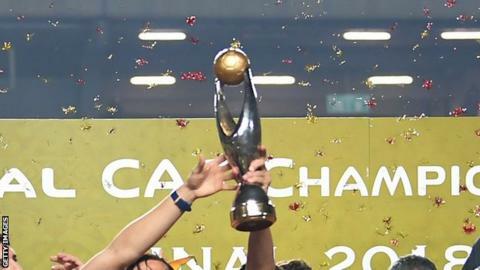 Ismaily were originally were disqualified from the tournament for the incidents but later reinstated by the Confederation African of Football. The Egyptians were also fined a total of US$40,000. The game was interrupted in the 46th, 72nd and 86th minutes before the referee decided to stop the game after a fifteen minute break, during which time several attempts were made to restart the match. Ismaily will have to play its next continental club game behind closed doors and will have to play a second without fans if the club is found guilty of a similar offence over the next two years. The sanction means that the points for Group C remain the same with but the goal differences for Ismaily and Club Africain are affected. Ismaily's initial ban and appeal meant they were unable to play their home and away matches against Algeria's CS Constantine. The matches have now been rescheduled for 23 February in Ismaily while the reverse fixture will be a week later.